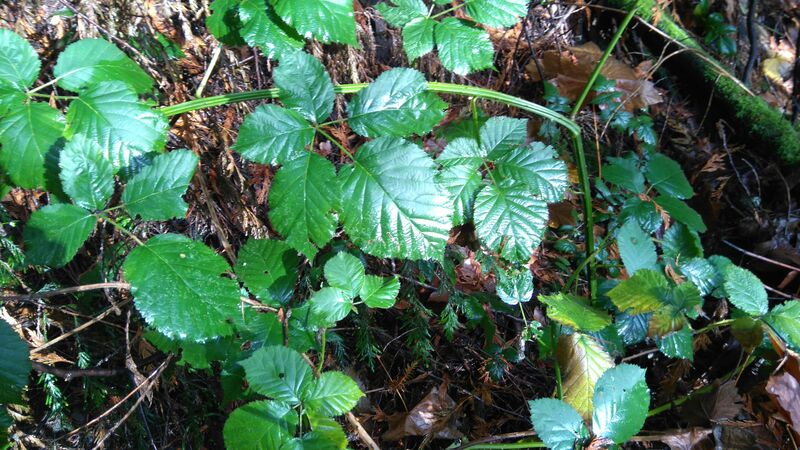 This section presents some of the common invasive plants that we are removing from North Saanich Parks and some tips on addressing these invasive species if you have them in your yard. 1. Invasive species should never go in the compost. 2. Put invasive plants in the garbage in a sealed garbage bag. If there is a significant amount, check with your local landfill how to dispose of them properly. 3. Some invasive plants are poisonous and can harm humans and pets. It is always best to use gloves and wear long sleeves and long pants when handling them. 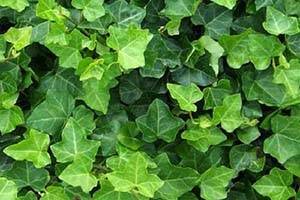 Cutting, pulling and digging are the best methods to remove ivy. Pulling and cutting off of trees. When pulling ivy off trees, be gentle so that the bark isn’t damaged. The aroma and juices from the ivy can be a irritant for some people. Must remove ivy off site. Any little piece of stem or root left will germinate into another ivy plant. English Ivy also flowers and seeds. It spreads rapidly suffocating all plants, shrubs and trees in its path. Pulling them by the base when they are young. Digging the root ball up with a mattock or shovel. Cutting them down on a regular basis. (this is a good method for large infestations. This must be done regularly or you will be encouraging its growth. Thorns that are extremely sharp!!! They hurt, please use caution when working around or with blackberries!! Blackberry stems will not germinate, however it will germinate if there are roots starting to form on the end of the stem. Pieces can be left on the ground depending on the availability of disposal. Blackberries spread via vine and seed. Daphne is best pulled when small or dug out when they are large and/or mature. Cutting it encourages more growth at the cut area, making it difficult to work with later on. 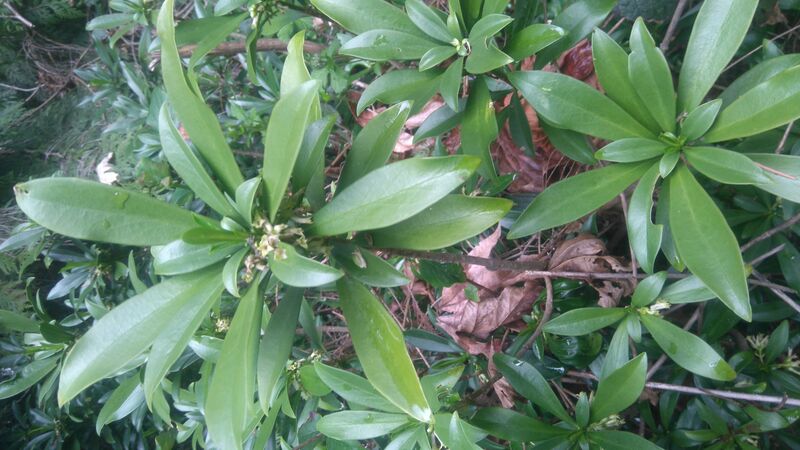 All parts of daphne are poisonous. The sap inside the stem and bark can have burning effect on the skin. Daphne must be taken out with gloves and disposed of properly. Berries are very poisonous to humans and pets. Holly roots must be dug out. Cutting only generates more shoots. 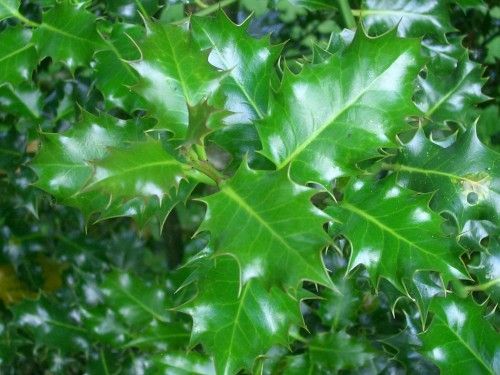 The leaves are very sharp and prickily which makes them really hard to work with. They have red berries containing seeds which is the main distribution method but they also have rhizomes that permits the plant to spread along the forest floor. Scotch broom can be dug out or pulled out if it is significantly small. Large plants can be cut at the base. Scotch broom is known to sterilize the soil if left in a pile, so remove all debris off site and dispose of according to your municipality. 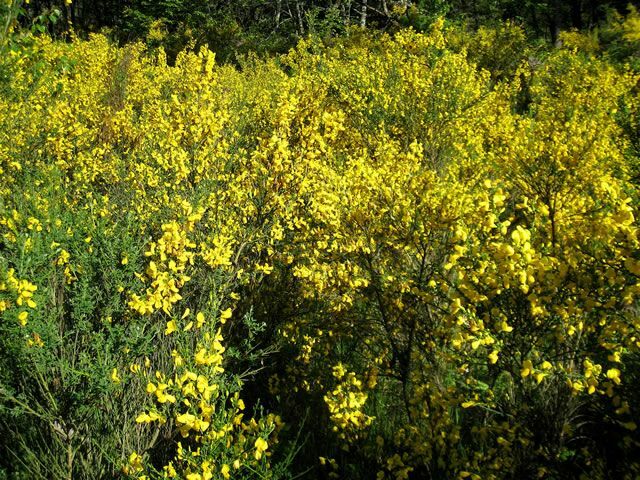 Scotch broom can produce up to 42,000 seeds per plant and spreads laterally as well. 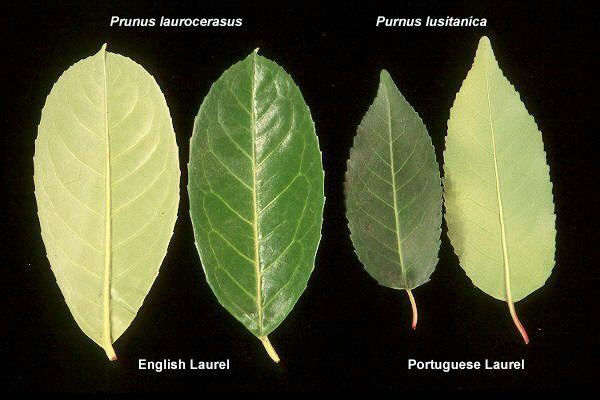 English Laurel and Portugal Laurel are both commonly used in ornamental gardens. Unfortunately these plants are now growing in our forests. It is best to dig these out. Cutting them will only stimulate growth. There are flowers that produce berries which are carried by birds. Periwinkle must be dug out and all roots removed. It is very difficult to eradicate. 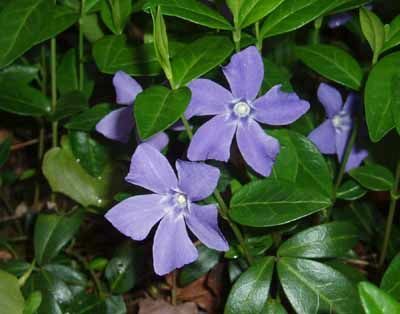 Periwinkle has stolons that root and create thick matts on the forest floor. It is also spread by seed.